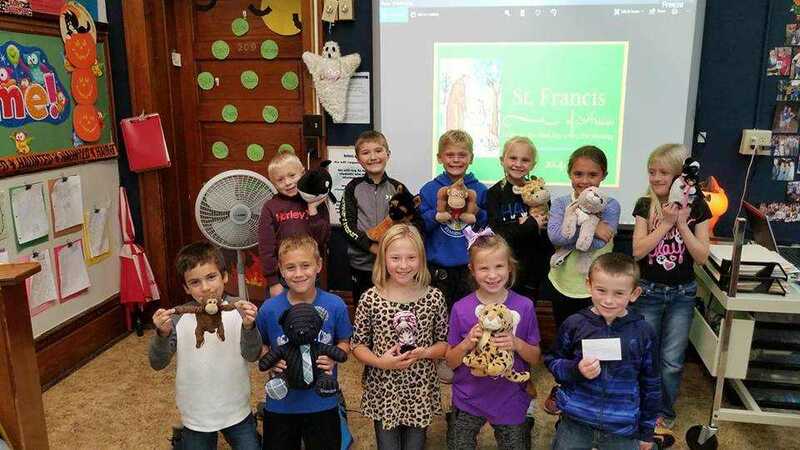 The second grade students brought their stuffed animals in to be blessed. Pictured above, Back row, from left: Talan Blackford, Ethan Klein, Jayze Bunkers, Juliann Mohning, Dylan Schroeder, and Katherine Doidge. Front row, from left: Ben Roder, Brodey Penning, Chloe Homan, Kinley Tentinger, and Lance Glassmaker. 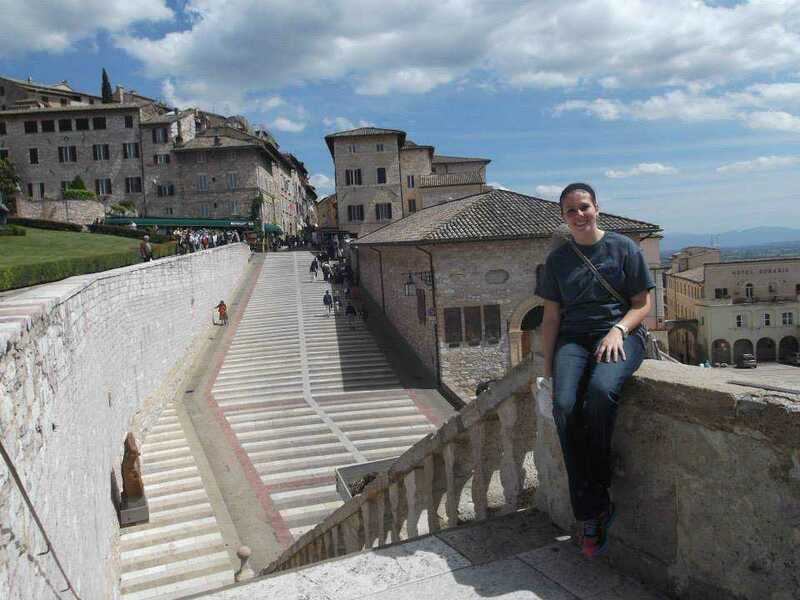 Pictured above, Mrs. Wimmer traveled to Assisi, Italy in college. The second grade class read a book and colored pictures. 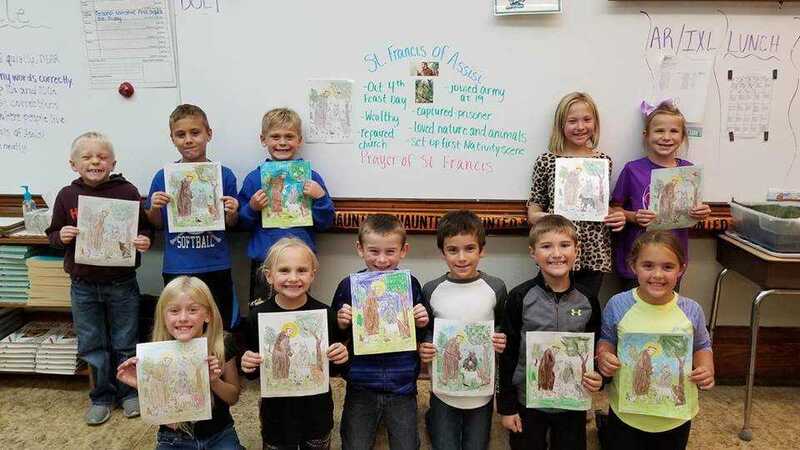 Pictured above, Back row, from left: Ben Roder, Lance Glassmaker, Kinley Tentinger, Chloe Homan, and Brodey Penning. Front Row: Ethan Klein, Talan Blackford, Jayze Bunkers, Dylan Schroeder, Juliann Mohning, and Katherine Doidge. The second grade children display their coloring pages. 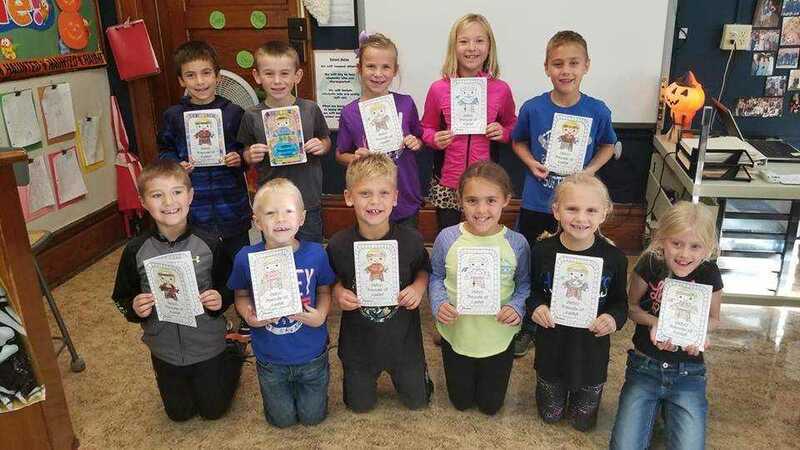 Pictured above, Back row, from left: Talan Blackford, Brodey Penning, Jayze Bunkers, Chloe Homan, and Kinley Tentinger. Front row, from left: Katerine Doidge, Juliann Mohning, Lance Glassmaker, Ben Roder, Ethan Klein, and Dylan Schroeder.